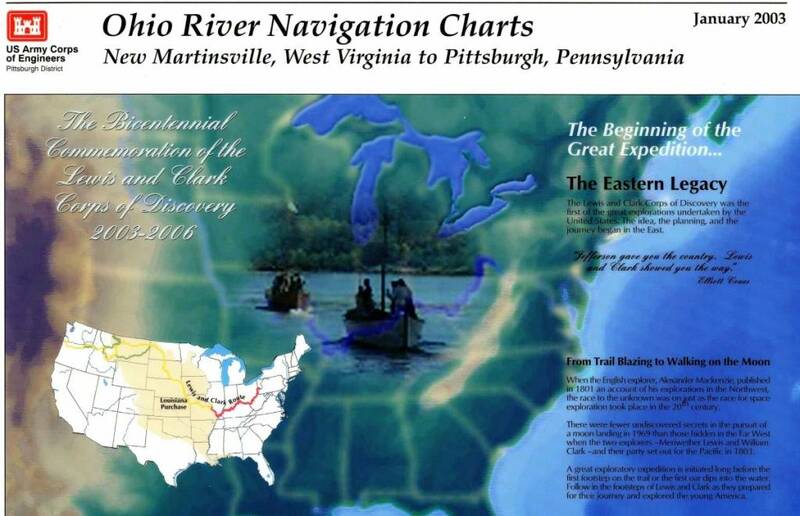 Ohio River Navigation Charts: New Martinsville, West Virginia to Pittsburgh, Pennsylvania, The Bicentennial Commemoration of the Lewis and Clark Corps of Discovery, 2003-2006. 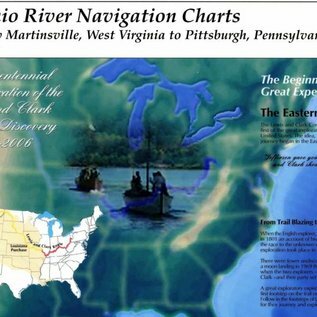 This paper navigational chart book covers the Ohio River from New Martinsville, West Virginia to Pittsburgh, Pennsylvania. This chart book edition commemorates the Bicentennial of the Lewis and Clark Corps of Discovery, 2003-2006. It was published in 2003, is 116 pages in length, and is 9” x 15” in size. Publication measures 9 x 15 in. On cover: The Beginnings of the Great Expedition ..., the Eastern Legacy, From Trail Blazing to Walking on the Moon. Lists buoys, dams, and other known navigational features along the route the Lewis and Clark Expedition took in 1803.